Hi. I'm frustrated from annoying video advertisements which are set to play automatically. Maybe there is a way I could stop autoplay on Safari? Autoplay is an annoying feature which might significantly deteriorate your browsing experience while displaying loud video advertisements on your frequently visited pages. The most frustrating part is that every time you open the website, ads will start playing without your consent. We advise you to stop autoplay function not only to enhance your browsing routine but also to protect your computer from possible infections of potentially unwanted programs (PUP) or even malware. While those ads might look attractive, you can be lured to click on them and end up on highly suspicious pages. Note that while browsers such Google Chrome do not have the in-built possibility to stop autoplay, Safari requires only a few clicks to finish the procedure and forget about the annoying video ads for good. 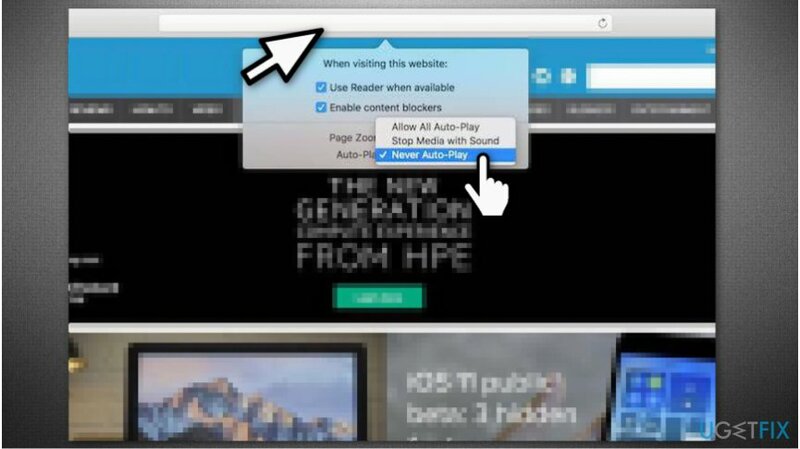 Instructions below will present you multiple methods to help you stop autoplay on Safari. We advise you to try all the techniques since some advertisements might be misrecognized and you need to take every possible measure to keep it out of your sight. Open the website that keeps playing annoying video advertisements. Click on Auto-Play and pick Never Auto-Play. 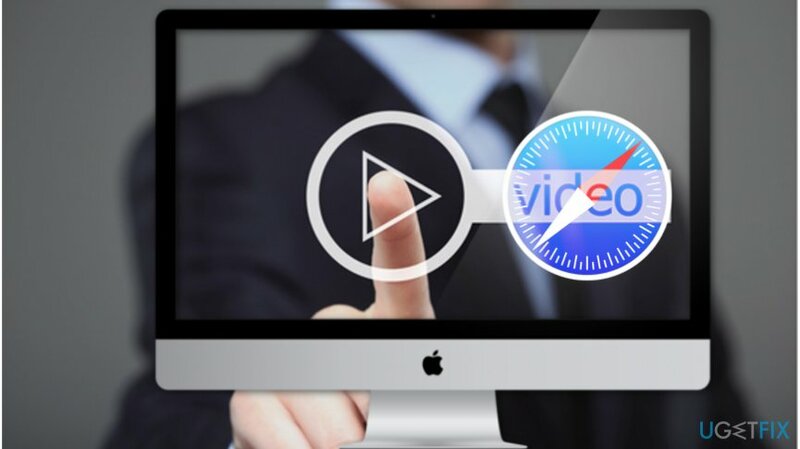 NOTE: This methods allows the website to display video ads. However, they will not be played automatically and you will have the possibility to click the play button once you feel like watching it. 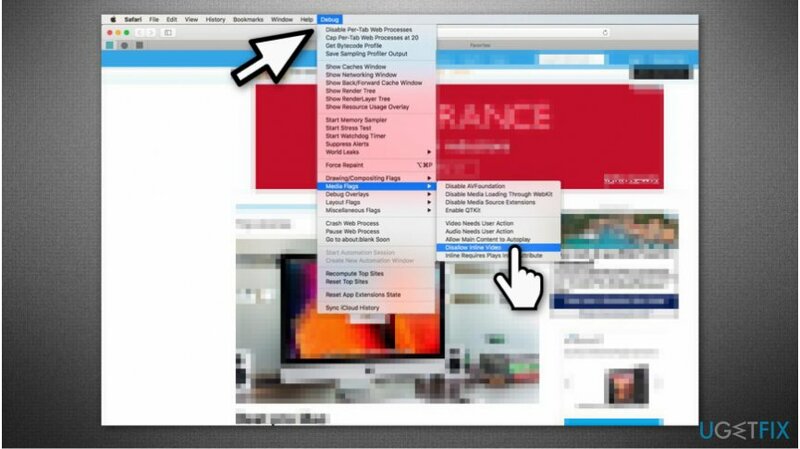 Open Safari navigate to the top bar menu and click Debug. Select Media Flags and pick Disallow Inline Video. 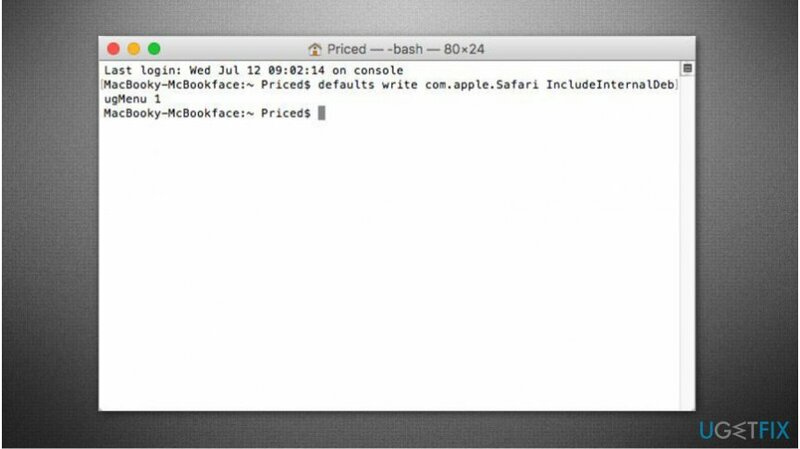 NOTE: To reset Safari to the previous state and remove Debug menu you have to open Terminal App once again and enter defaults write com.apple.Safari IncludeInternalDebugMenu 0 command. ^ Owen Williams. Autoplay video is a plague that can’t be stopped. 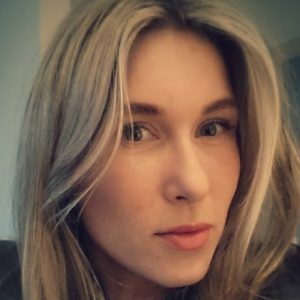 TNW. Original and proudly opinionated perspectives on remarkable stories. ^ Hidden Dangers in Online Ads. Bottom Line Inc. Our experts, your bottom line.